BART starts later, as Transbay Tube is retrofitted to withstand a major earthquake. 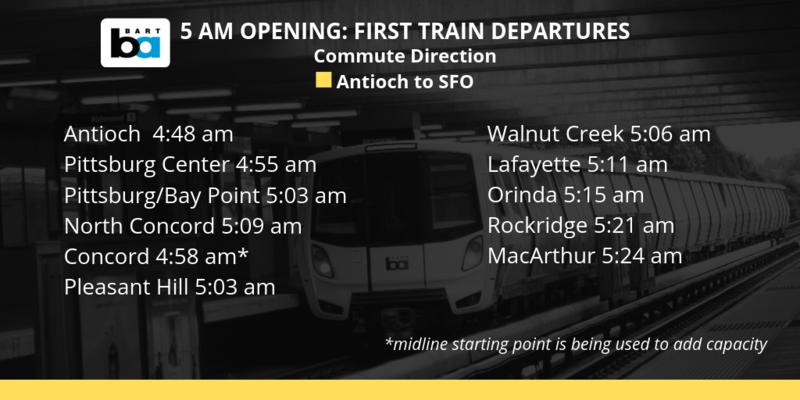 BART makes a system-wide shift to start the morning service around 5 am. An Early Bird Express bus was used to replace the train at 4.00. 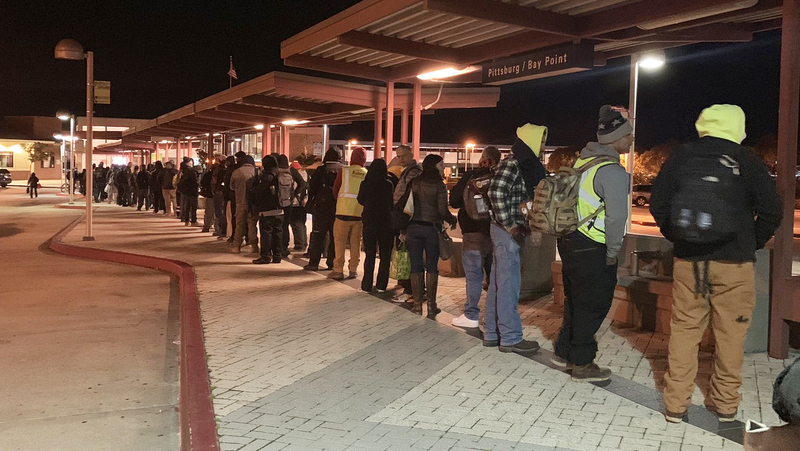 A long line was seen outside Antioch and Pittsburg / Bay Point BART stations early Monday morning. The seven Transbay bus lines from East Bay started as early as at. 03.50. Some of the first buses arrived in San Francisco just before five o'clock. BART's "Early Bird Express" buses arrive at the Transbay Terminal in San Francisco from East Bay. 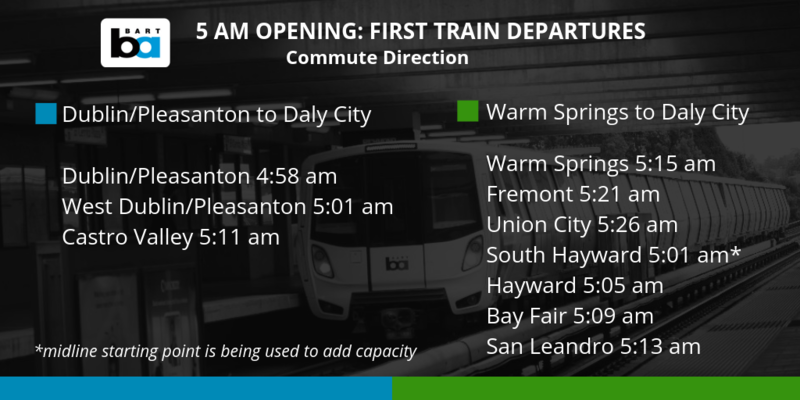 Here is the official statement from BART:  When we get closer to February 11, 2019, over the entire system from 9 am From 4:00 am to 5:00 pm, many BART riders start exactly when the first trains will depart when the planning change comes into effect. 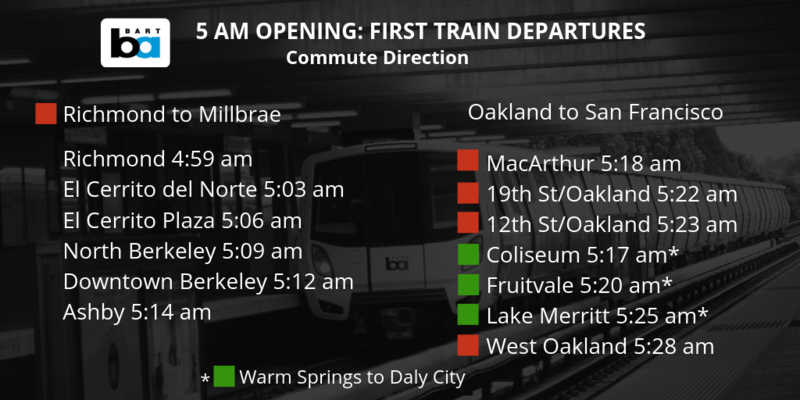 For the first time on weekdays, some trains start from mid-line stations (Concord, South Hayward, and Daly City) to lift service and speed riders into the system core. 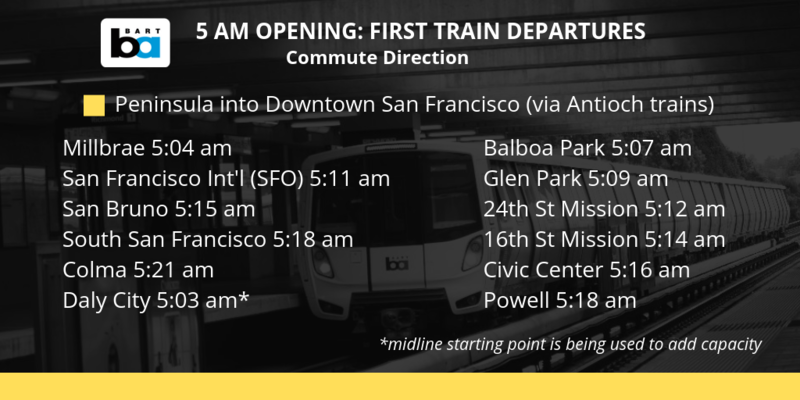 All early morning trains will be long with the first East Bay train coming to Embarcadero Station at 05:35. Train times can be found on the form by station and timetable by segments on our site. Check out more stories and videos about BART.